WatchOS 5 turbo boosts the fitness tracking capabilities of the Apple Watch. Gamification has always been central to the Apple Watch tracking experience. Now Apple is improving on it's famous circle-closing experience through Challenges. Challenges lets you create 7-day-long competitions with your friends. Throughout the period, all of you will be working towards the same goals and can check in on your progress and poll position and even taunt each-other. All of it is tied together through an awards incentive system. Even if you don't appreciate a friendly contest from time to time, you can still benefit from some new activity tracking types and improved measurements in the familiar categories. The new additions, include Yoga and Hiking. 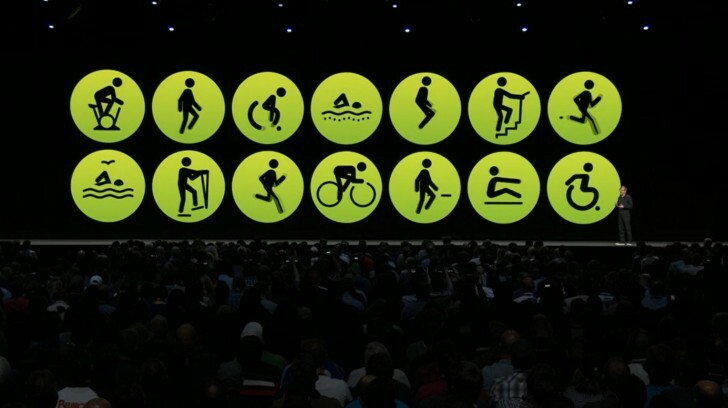 Also, the popular Outdoor Run activity is now more data-rich, thanks to things like Pace Alerts and Cadance. The Apple Watch is also getting Automatic Workout Detection. It works both at the beginning and end of an activity session, by simply bringing up a notification, whenever the watch detects you might be exercising, without an active session. The system is flexible enough to include data retroactively for you, so you don't exclude any data. 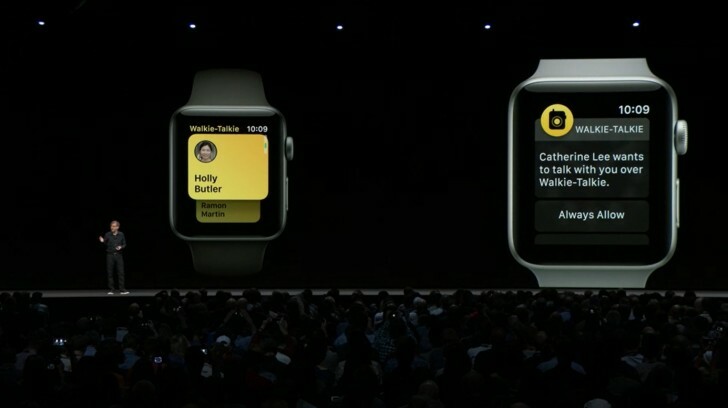 Walkie-Talkie is another interesting new WatchOS app. The name is pretty descriptive - it's a new voice messaging app, that let's you connect to contacts, Apple Watch to Apple Watch. The friend pairing process is pretty intuitive and the messages can be transferred via Wi-Fi or cellular connections. Just like it’s iOS counterpart, Siri on the Apple Watch is also getting smarter. For starters, you can now raise your wrist and instantly talk to the assistant, skipping the "Hey Siri" trigger. 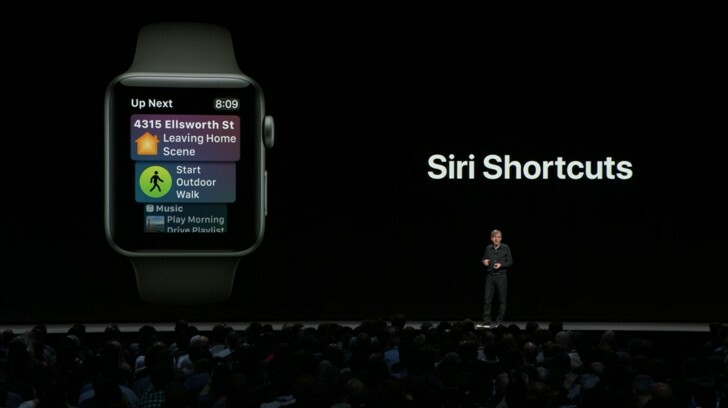 The new Shortcuts and Suggestions features are coming the the WatchOS Siri as well. 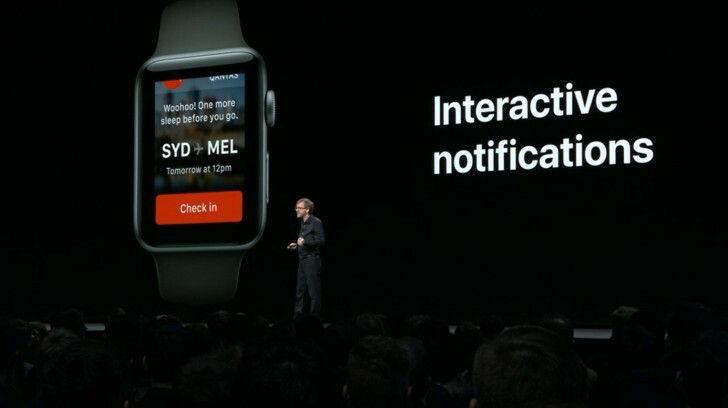 Interactive notifications are now a thing. Better still, these can come through third party apps, that implement Apple's new APIs. The Siri watchface gets some new data as well. Sports, Maps and Heart Rate are just a few of the new data sources that can be surfaced live on the Siri watchface. Siri Shortcuts opens up data channels to third-party apps as well. So you can really mare the Siri watchface your own. 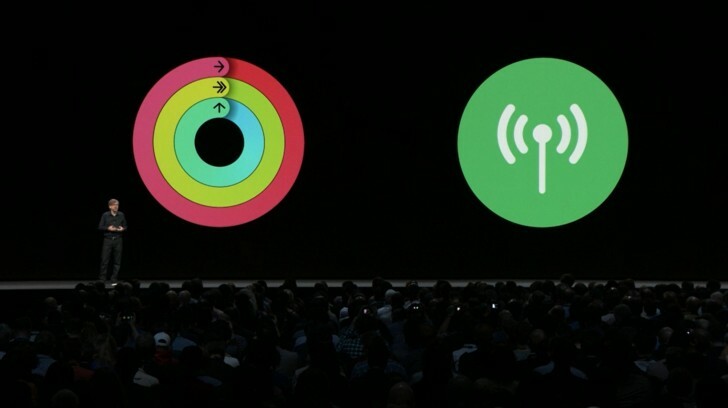 Apple also acknowledges that with new data channels and interactive notifications, the Apple Watch will be bombarded with a lot more interactive content. Most likely, web resources. 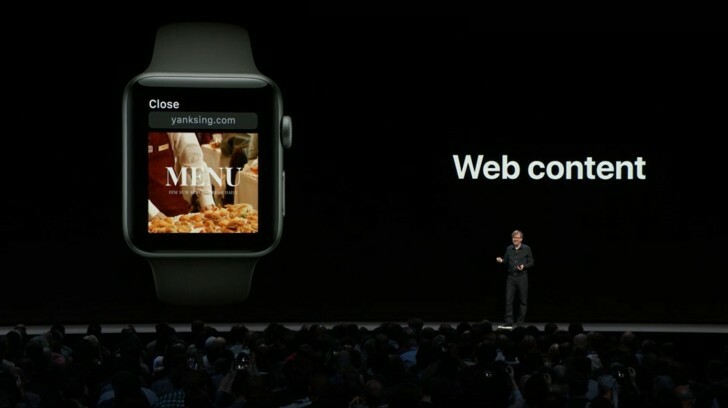 WatchOS 5 can handle many of those natively, thanks to Web Kit integration. In allows users to open many links straight on the watch itself. Apple will do its best to optimize the content for the small display in the background. Still, it is worth noting that Apple is not offering a full-featured browser experience. At least not natively. Podcasts are coming to WatchOS as well. WatchOS 5 has many more new features added behind the scenes and same interesting ones coming soon, as well. Student ID Cards was mentioned, in particular. 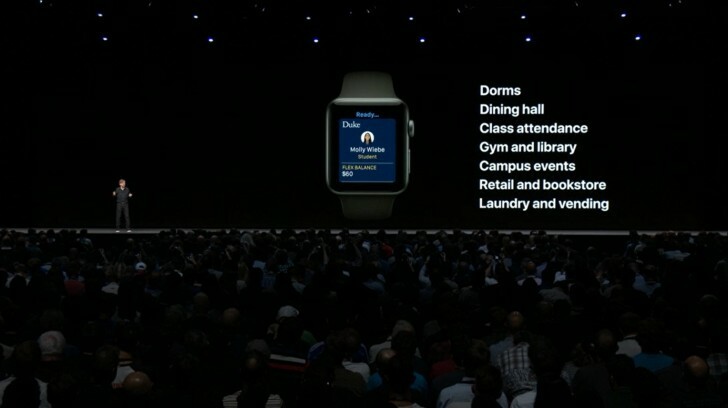 It is envisioned as a flexible system for using the Apple Watch in place of a student ID card for many activities and access throughout a campus. A few universities are already on board to test-drive the system soon. I'm more bummed that there won't be a Circular Apple Watch. There's no-one to contest the Samsung Gear S3 Frontier and Huawei Watch v1.0 All other units are either ugly, missing features, or non-circular.